George’s portfolio would be considered both large and varied by all who have visited his studio. At the time of this publication his earliest works date back almost 70 years whilst his latest is still wet on the easel. Although he has worked largely in oils throughout his career and continues to do so, he has also worked extensively in wood engraving, watercolour, silk-screen, etching and ceramic. It is perhaps through the publication of commissioned wood engravings that he is best known. His drawing skills appear to transfer effortlessly to the largely self-taught wood engraver. However, this is only one of the skills he uses to express his creativity. He develops allegories, which he may explore over a number of works, in various media and some, over a lifetime. They are rarely done and dusted, nor can they be. When your back is turned another layer is added or removed. George is neither a linear nor a static artist, any more than he is solely a painter, engraver or ceramic artist. Therein lies the challenge in the preparation of this book. To bring some order to the presentation we looked at the significant periods in time, which inevitably had a bearing on his work. Though we have attempted to follow a chronological sequence within each section, it has not always proved desirable or practical to keep the pieces in such a strict order. Some works have never been dated, and the wood engravings are signed and dated when sold and not when the block was engraved. His use of media appears as and when the pieces were made. The vast majority of the works are in oils, interspersed with watercolours, silk screens, etchings, and of course commissioned and autographic wood engravings. In recent years he has re-kindled his interest in ceramics in the pursuit of new, familiar and enduring themes. 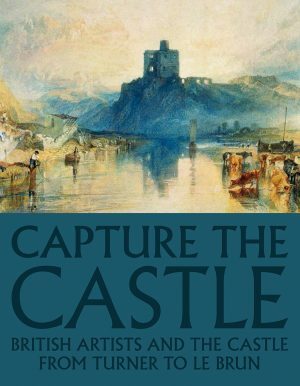 It is hoped that this book reflects the artist, his work and his working practice. Monograph spanning almost 70 years of work. Multi-media artist – in the sense that he works in paint, engraving and clay. Written largely by the artist, it chronicles his art education, personal and professional life. It also includes interesting anecdotes and an insight into the way he works.